Faraday Future, the roller-coaster of an electric car startup, bombastically unveiled its first production vehicle at CES 2017 as questions swirled about the company's future. The FF 91 is a slick four-door electric sedan with an absurdly powerful motor. At one point Tuesday night it zoomed through a hanger in Las Vegas, showcasing its ability to go from 0-60 mph in 2.39 seconds. Its 130-kilowatt battery is larger than any electric car on the market. Throughout the night, executives rattled off superlatives on stage, promising a vehicle that would disrupt the auto industry. Faraday played highly-produced videos to showcase the vehicle's features, complete with thumping music that shook the risers on which hundreds of guests were seated. "The car industry that has made all of us proud for 130 years has to be replaced," said Nick Sampson, a senior vice president. "We're creating a category of technology that has never existed before, a new species." That was one of five times during the evening that Faraday Future executives referred to their car as a new species. Yet critics have suggested that Faraday Future is actually at risk of extinction. It has been dogged by recent reports of debts and missed payments. Questions have been raised about the hundreds of millions of dollars of incentives the Nevada government gave Faraday after it promised to spend $1 billion on a U.S. factory. 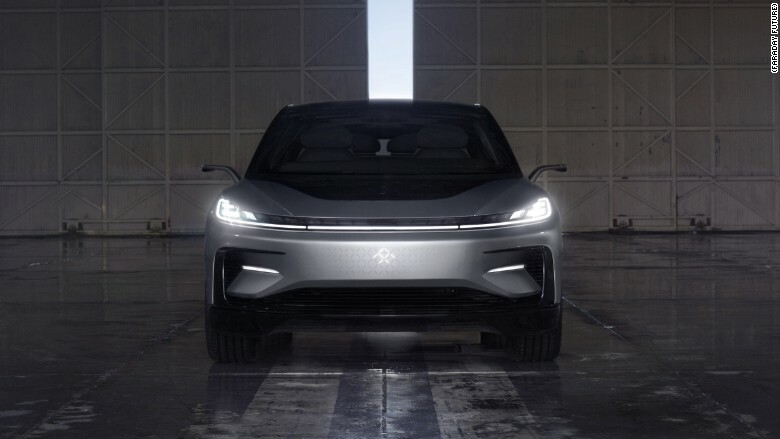 Faraday Future briefly hinted at the controversy at the closing of the event. "Despite all the naysayers, despite all the skeptics, we will persist," Sampson said. "We will carry on to make the impossible possible." In November, LeEco CEO Jia Yueting -- whose company is funding Faraday -- cut his salary to pennies as his business ran low on cash. At the time, he told employees in a memo that the company had blindly sped ahead and overextended itself. 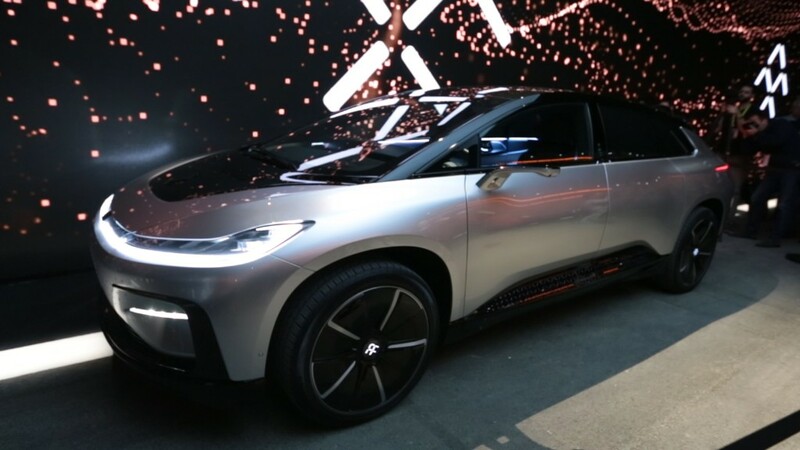 On Tuesday, Yueting appeared on stage and touted the FF 91. 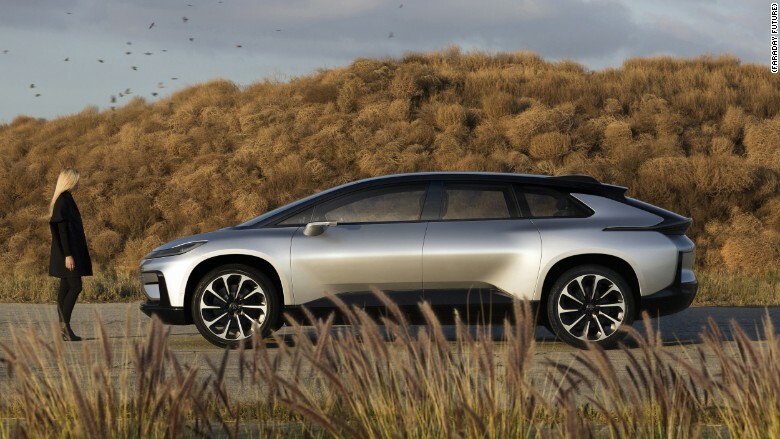 While Faraday talks of disrupting the auto industry, the FF 91 appears to be out of reach of all but the wealthiest buyers. Faraday has yet to reveal a price, but with a 130-kilowatt battery, it is expected to cost more than $100,000. Last month, Reuters reported that the vehicle would cost up to $200,000. Customers who want to buy an FF 91 can reserve a vehicle on FF.com with a $5,000 deposit. The company will be offering 300 special edition vehicles of the FF 91 this March, but customers won't get them until 2018 at the earliest. Faraday Future has a history of flashy presentations. A year ago, it unveiled a prototype of an electric supercar with a 1,000 horsepower engine at CES 2016.